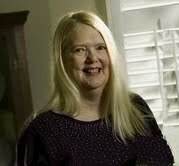 Nancy Pistorius of Lawrence, Kansas, has published award-winning fiction, poetry, essays, and feature articles in more than seventy-five different literary and mass-market publications, including WOMAN’S DAY, COSMOPOLITAN, and CHICAGO TRIBUNE. She has an MA in English/Literature from the University of Illinois and also attended schools in England (London) and Florida. Her most recent honor was the 2009 Langston Hughes Creative Writing Award (Fiction). She is currently working on a Middle-Grade novel.